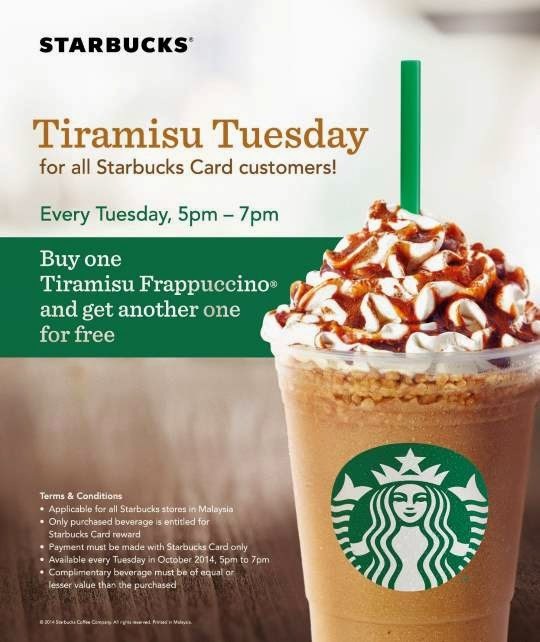 Buy one Starbucks Tiramisu Frappuccino and get another one for FREE! payment must be made with Starbucks Card only. complimentary beverage must be of equal or lesser value than the purchased.